The Christchurch shooting and ensuing furor over white supremacy brought to mind a similar massacre of Muslims in a mosque in Palestine perpetrated by a Jewish supremacist several decades ago. Two recent headlines about fascism have coalesced in my mind into mirror images. The more I dwelled on them and on the two terror attacks, the more these mirror images twisted and turned. How seriously are we to take these headlines? Jaroslaw Kaczynski, the leader of Poland’s ruling party, says racism and xenophobia are a ‘marginal problem’ in Poland, but it’s clear to most of us that white entitlement is part of the structure of many European societies. European thinkers, in fact, are behind the white-nationalist rallying cry “You Will Not Replace Us”. Ever since the violent establishment of Israel as an apartheid Jewish state in Palestine in 1948, the Zionist rallying cry “We [Jews]will replace them [Palestinian Arabs]” has been a central tenet of each and every Israeli ruling government and the only way Jewish nationalism can survive. During the EU-backed Oslo era, in a frenetic attempt to subvert a Jewish settlement freeze, the World Zionist Organization, through the Jewish Agency and the Jewish National Fund, funneled into Israel not only Anglo-Saxon Jews from the US and UK but also Jews from “lost tribes” such as the Bnei Menashe in India, and even imported Peruvian Indians in 2003 to swell a settlement or two despite the difficulties of converting these people to Judaism. Israel bestows the automatic right to Israeli citizenship on Jews throughout the world while simultaneously continuing to deny Palestinian Arabs, both Muslim and Christian, their internationally recognized right of return to their towns, villages and property in Israel and the rest of historic Palestine that Israel now occupies/colonizes. White supremacists in Europe, as well as in Western settler-colonial States such as the U.S., Canada and Australia, are anti-immigrant, with a large percentage of the immigrants being people from the Southern Hemisphere. Europe’s immigrants include Syrians among many others. Same goes for Australia. White supremacist ideology is meant to protect them from a perceived “threat” to “white culture” or “white civilization”, which they see as superior, as well as from the economic threat caused by the disruptions of globalization. They resent that brown and black people they colonized in the past, and still consider inferior, are now turning the tables around on them through migration to the north. Jewish supremacists, on the other hand, are pro-immigrant, with the immigrants being Jews of any nationality or culture from around the world. Their ideology is meant to maintain the Zionist invention of a Zionist Jewish national identity. The “Jewishness” of Zionism is not only Judaism (despite its full-blown religious component), and not only a colonial-settler project in Palestine. It revolves around the construct of “the Jewish people”. This identity, like white supremacy, is rooted in a sense that Jewish culture deserves to be the dominant culture and must remain separate and pure. It is superior to the culture/religion of the Palestinian Arabs. To create itself, Jewish nationalism not only stole Palestinian Arab heritage as its own, it actively erased Palestinian Arab history and culture, in addition to the crimes of ethnic cleansing and land theft. Besides the task of ingathering Jews from around the world into historic Palestine, Jewish supremacy has the added burden of keeping out the rightful owners of the land they have colonized/occupied — Palestinian Arabs, the natural (indigenous) majority in the geopolitical territory of Palestine. The following tale of two massacres, or “terror attacks”, if you prefer, further illustrates the similarities and differences between white supremacy and Jewish supremacy. 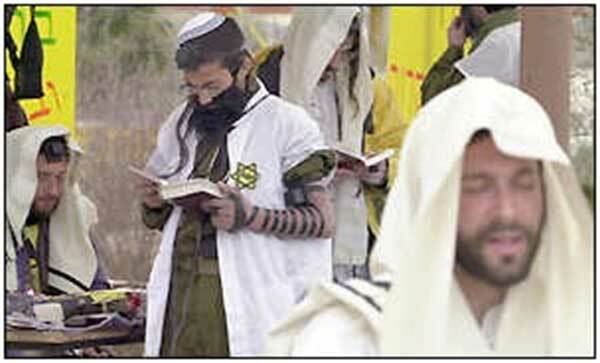 The March 2019 Christchurch massacre at the hands of a white supremacist resulting in the slaying of 50 Muslims as they prayed in a mosque in New Zealand has a direct parallel in the February 1994 massacre at the hands of a Brooklyn-born Jewish supremacist, which resulted in 29 Palestinians killed and some 150 wounded as they prayed in the Ibrahimi Mosque in al-Khalil (Hebron). The twist in the comparison is that the Brooklyn-born Jewish supremacist (Baruch Goldstein) had immigrated to Israel to join the Israeli army. He was, in essence, helping the Israeli government with a task it has undertaken since before the establishment of the State of Israel (see ‘State of Terror,’ by Thomas Suárez), although today it continues to do so through the falsely legitimatized means of a settler-colonial state. A summary document produced by a UN panel last month reported the deaths of 189 unarmed Palestinians, of whom 183, including 32 children, were killed by Israeli live ammunition at the Gaza “fence”, possibly constituting a war crime. Prior to mass murdering the “Arabs” in the mosque, the perpetrator of the massacre in Hebron wrote a letter to the editor published by The New York Times in which he stated: “The harsh reality is if Israel is to avert the kinds of problems found in Northern Ireland today, it must act decisively to remove the Arab minority from its borders.” Note: Israel’s borders are unusual, for lack of a better word, in that they have changed several times in living memory. As far as I know, the perpetrator of the Christchurch massacre (I am avoiding mentioning his name, because he reportedly craves fame in the manner of other sociopaths) did not have such a specific agenda — and, if he did, it surely isn’t explicitly espoused by the Australian or New Zealand governments as state policies. Israel, on the other hand, continues to find numerous “legitimate” means to effect the goal of Jewish supremacists and the terrorists among them, in violation of international law and with the support of the United States and the European Union. After the Christchurch massacre, commentary on TV and social media ran through the gamut of blame for the bigotry evident in the Christchurch “terror attack”. Among these, the most baffling to me is this conjecture: “Whether or not history really is dialectical, it can be tempting to think that decades of liberal supremacy in Europe have helped give rise to the antithesis of liberalism.” It was the “antithesis of liberalism” from the beginning, as it is today. If by “liberal supremacy” the writer means the values of the Enlightenment, we can’t possibly blame Jewish supremacy, as spawned by Israel, on European liberalism as we blame Israel for the European values and fact of Jewish colonialism in Palestine. Zionism’s answer to European modern liberalism was to anchor the sensibility of the neo-medieval Jewish ghetto, including its anti-gentilism, in the State of Israel. In other words, Zionism is anti-liberalism — except when it comes to “the Jewish people” as Zionism defines their identity. In massacring Palestinians in the mosque, the Jewish supremacist Baruch Goldstein was simply on task, a task expressed by “Chaim Weizmann, Israel’s first president, for whom the ethnic cleansing of Palestinians was ‘a miraculous clearing of the land: the miraculous simplification of Israel’s task.’” It’s a task, many “Militant Jews”, to use the term the BBC used in 2000 to describe them, celebrated. What they are is better described as supremacist Jews. In the topsy-turvy way characteristic of Israel’s hasbara, the Western world has turned Israel’s acts of violence and Jewish supremacy against Palestinians into a false defensive act, when in fact the Palestinian cry “You will not replace us” is a cry, not of bigotry but of righteousness rooted in the misery resulting from Jewish supremacist ideology and Palestinian dispossession.